Elliott Fullmer I am a Visiting Assistant Professor at Randolph-Macon College in Ashland, Virginia. I previously taught at Georgetown, Hood College, and James Madison University. My areas of interest include voting behavior, the American presidency, and interest groups. I have been teaching with the School of Continuing Studies since 2009 and this will be my second year as a Capstone Director. 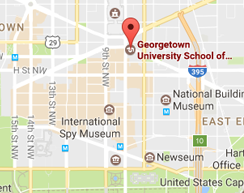 I previously completed my Ph.D. in American Government at Georgetown in 2013. In addition to teaching, I have worked for several DC non-profit organizations, including the Sunlight Foundation. I am originally from New Jersey and am proud to say I have visited every Major League Baseball stadium in the USA.